Ordering stuff online is a common thing these days, and its easier than ever to get anything, from any part of the world, without a dramatic procedure that includes waiting for many days and spending tons of money, where, in the end you do not even know if you are going to get what you wanted, in the first place. 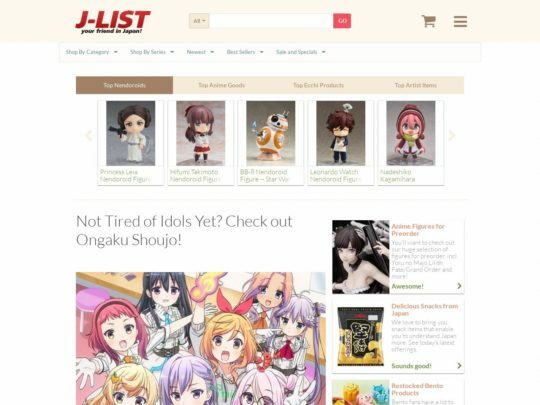 J- LIST.com considers itself everyone’s best friend in Japan and represents an online shop that provides all kinds of anime stuff, toys, snacks, games and more to their clients, all over the world. Adult corner is dedicated to their grown- up clients who still like to play with toys, although special kind of toys, if you know what I mean. To start ordering, all you have to do is to create an account for free and start browsing and making a wish list of items you would like to purchase.